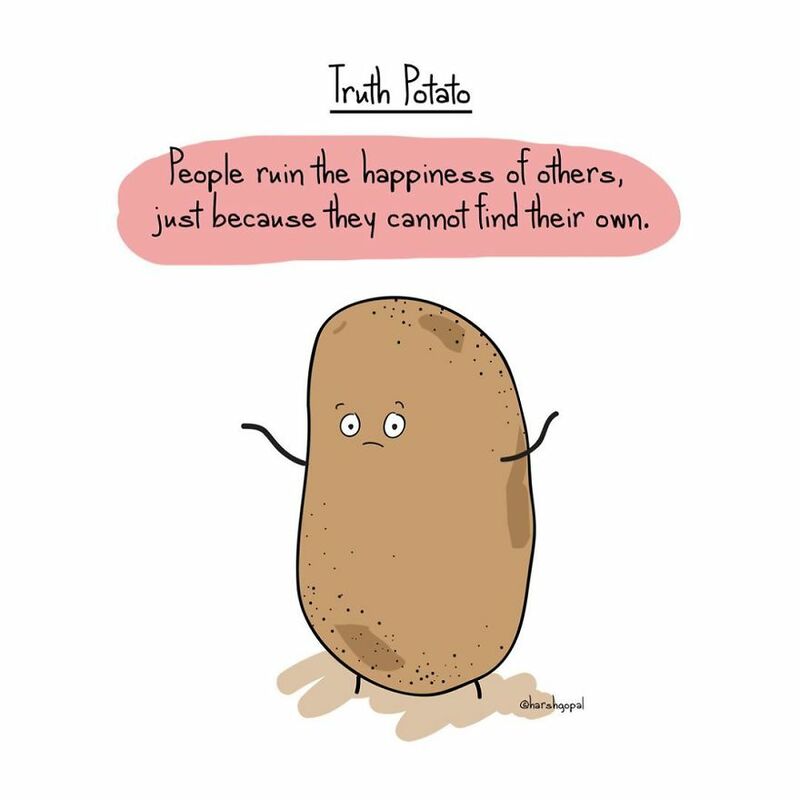 Truth Potato is back with more of the bitter truths he is generally known to spurt out. 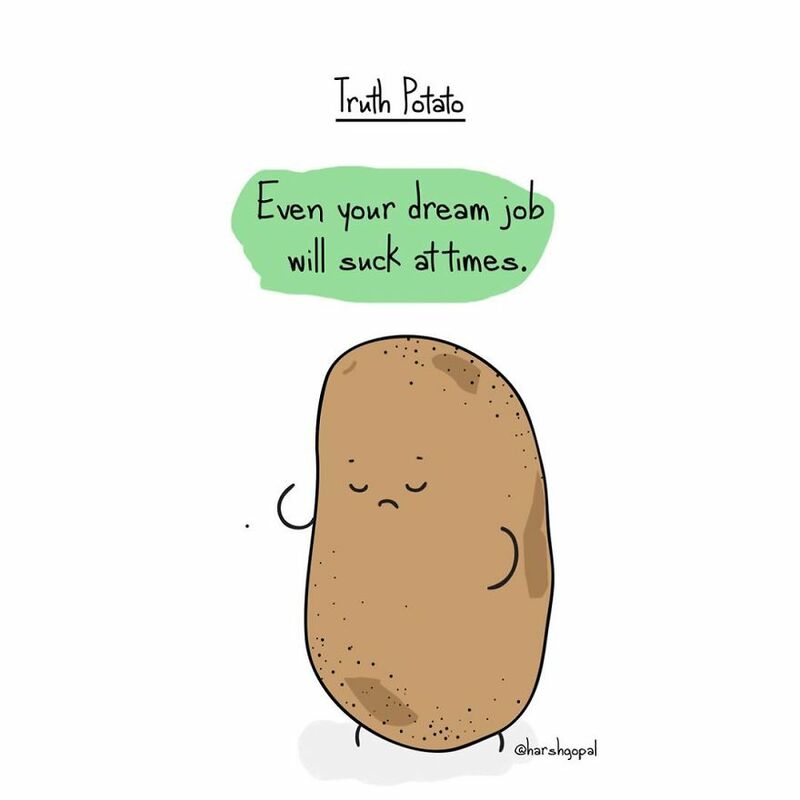 You could have previously appreciated him on Bored Panda here and here. 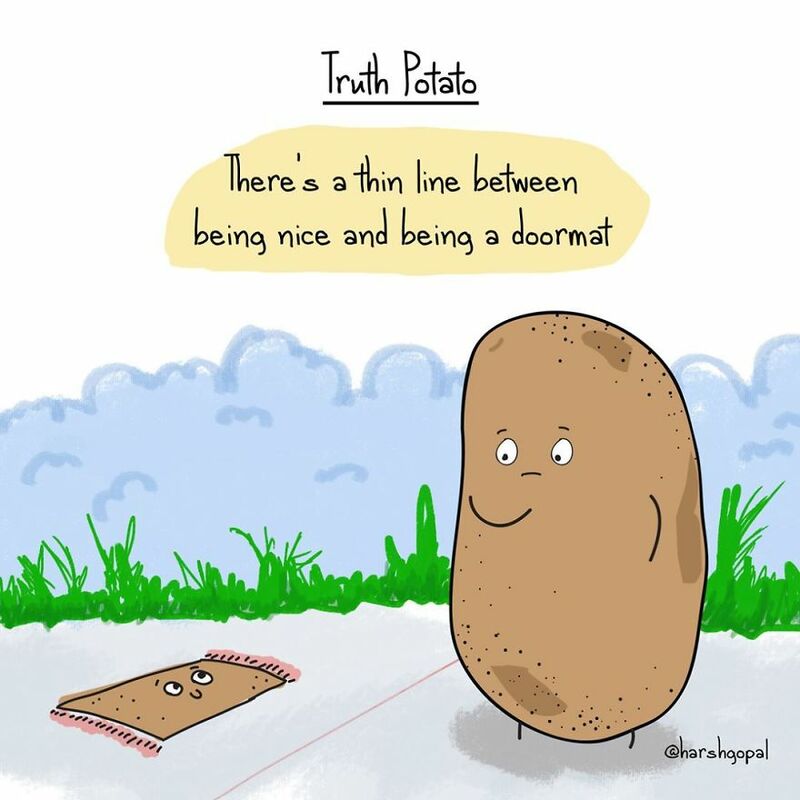 Skewing away from the things we hear on a day to day basis and are made to believe are the “happily ever after” stuff, here are some sayings coming from Truth Potato who knows that life isn’t always that hunky dory. 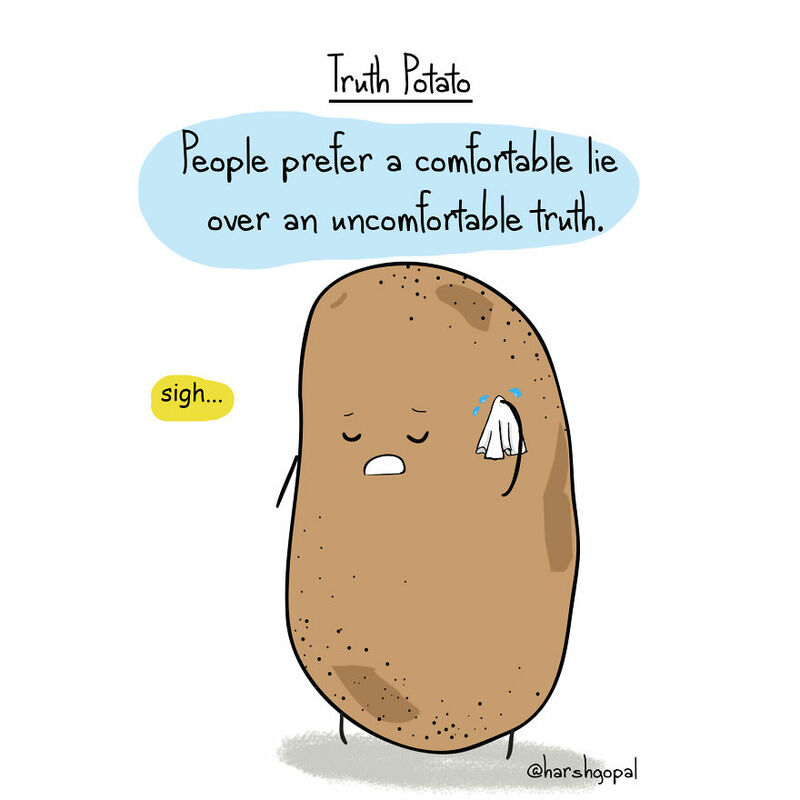 Let’s face it, there are certain facts of life that have us all in total denial. 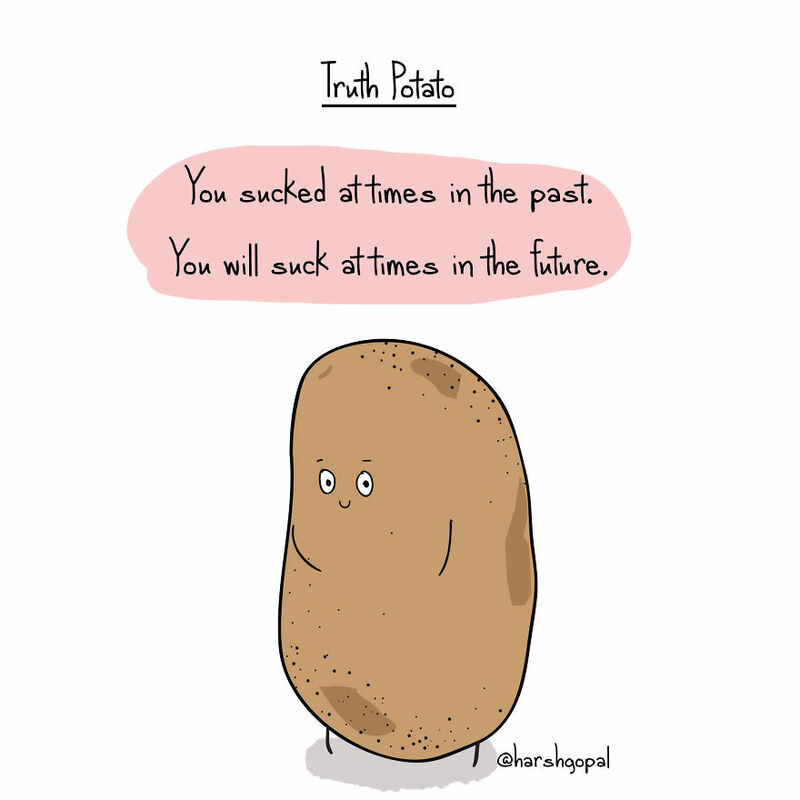 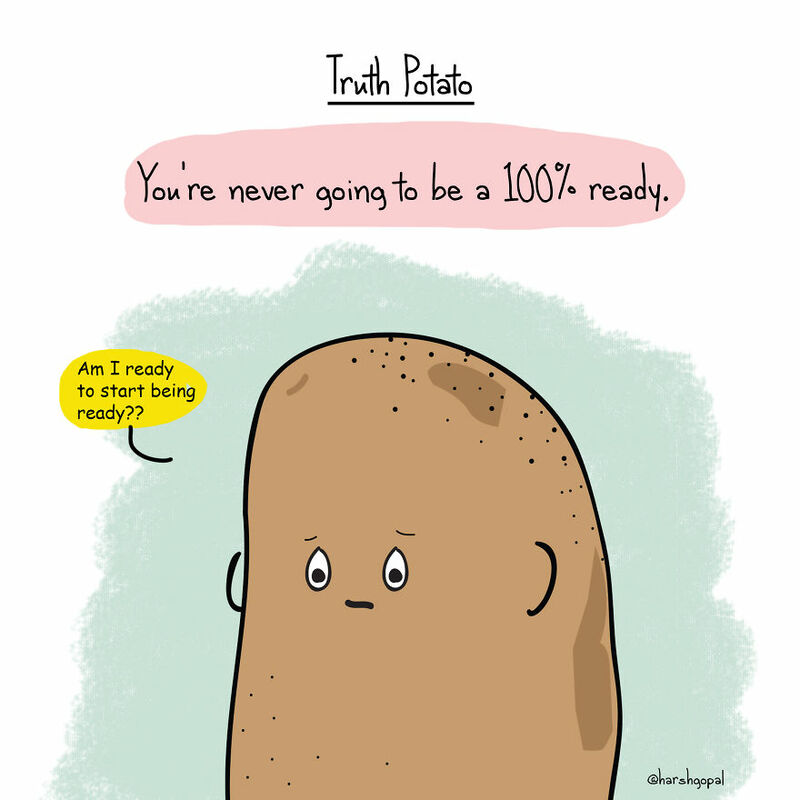 The Truth Potato is a wise little spud that tries his best to put you in check with these truths. 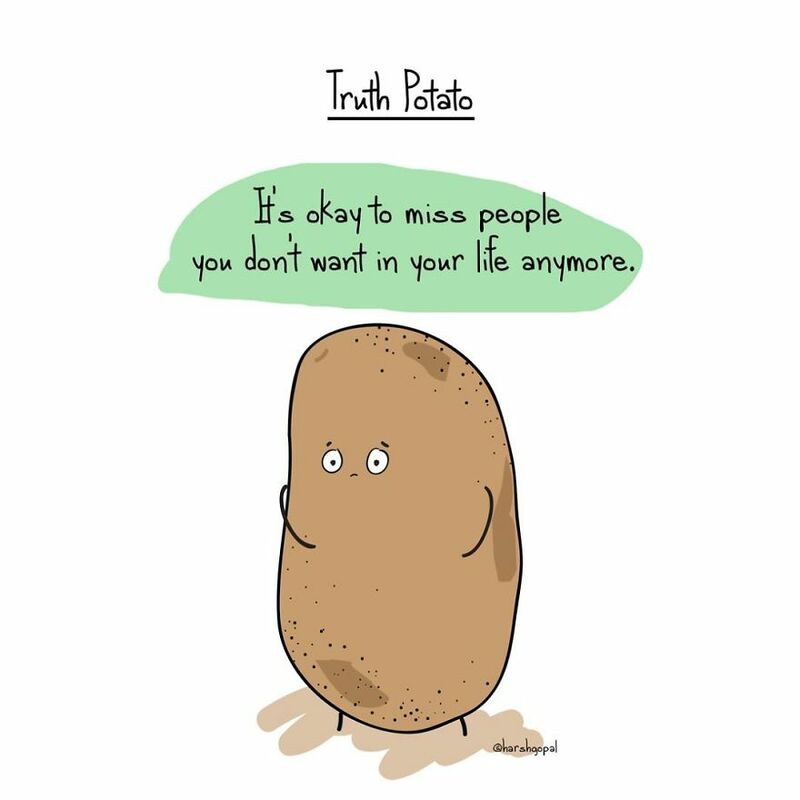 These bitter truths might have already been was quoted as saying by other personalities, but has it come out from the wisest spud ever? 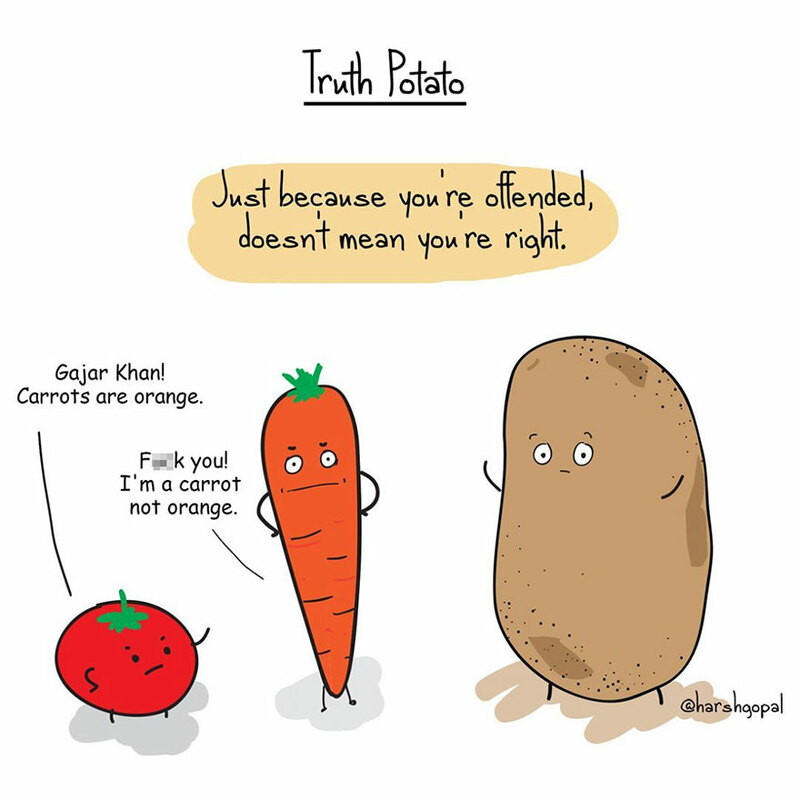 No..
Below are some spores of wise from the Truth Potato who is occasionally accompanied by his two buds, Gajar Khan( the carrot) and Jorge( the tomato ), that you must keep as a daily note to yourself. 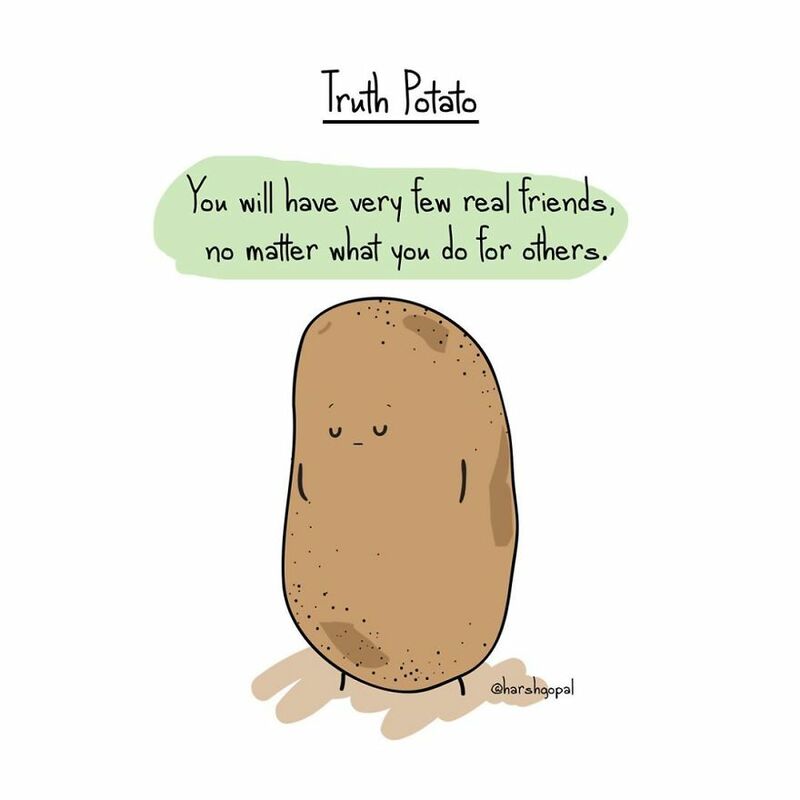 Follow The Truth Potato on Instagram where he potates his wiseness regularly. 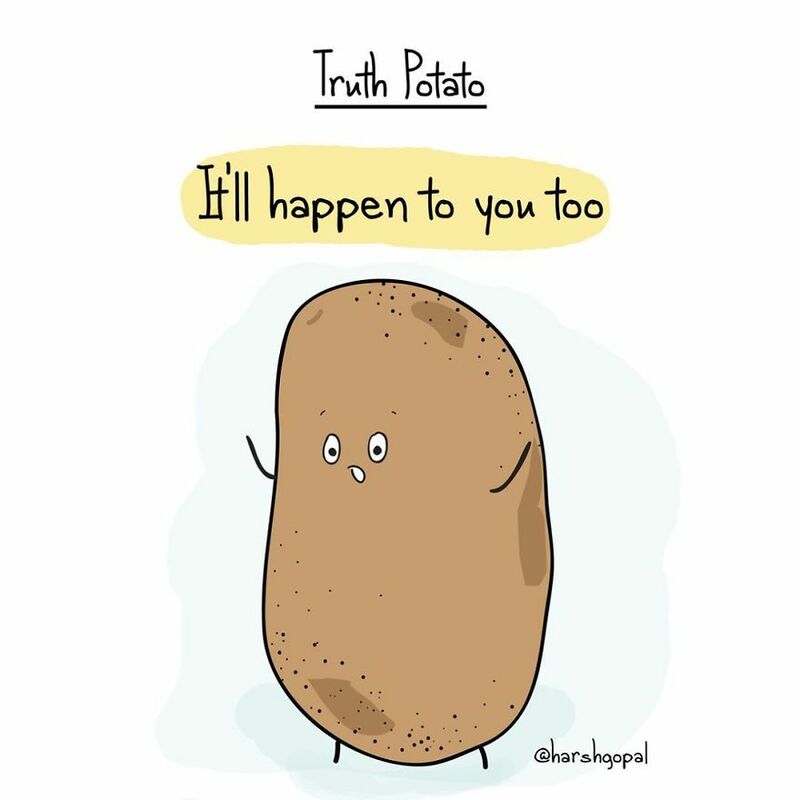 ← Rachel McAdams pumping during a modeling shoot is peak mom badassery.